Read But Never Red » Read But Never Red » Will City be legless on Boxing Day? 74 Will City be legless on Boxing Day? If you thought Oscar Pistorius had a flaky defence just take a look at Manchester City’s and it’s easy to see how their legs are going from underneath their Premier League title challenge. City have been held by rock bottom Aston Villa, stuffed by Stoke and outgunned by Arsenal as they’ve dropped 11 out of the last 18 points. 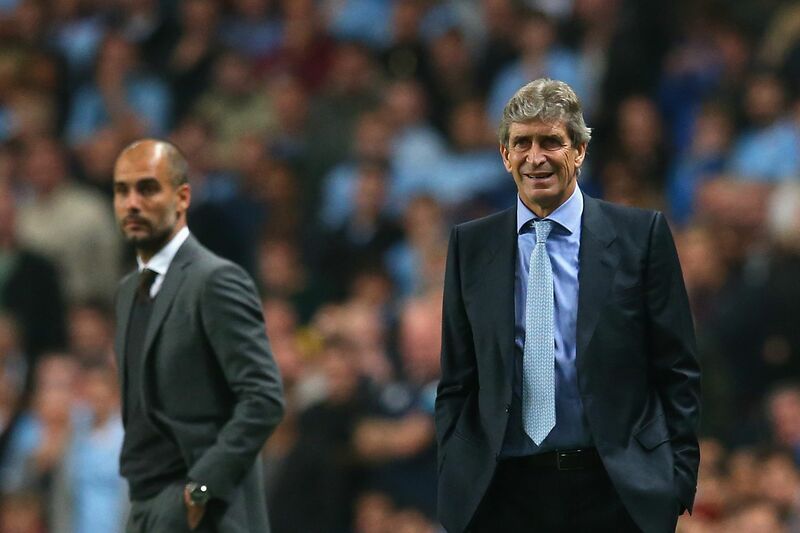 Move over Manuel – Pep will almost certainly be replacing Pellegrini at the Etihad next summer. Manuel Pellegrini is the proverbial ‘dead man walking’ following Pep Guardiola’s announcement that he’s leaving Bayern Munich at the end of the season. Unlike Mourinho’s departure from Chelski or ‘King’ Louis’ pending dethroning at The Swamp, Manuel’s departure from the Etihad will be amicable…part of the long term masterplan by Sheikh Mansour and Khaldoon Al Mubarak. 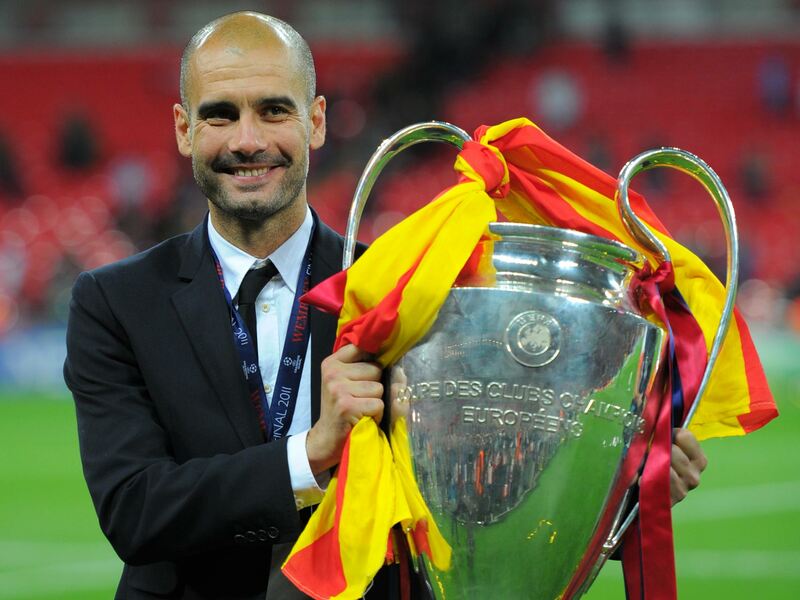 CEO Ferran Soriano and Director of Football, Txiki Begiristain, have never hidden their desire to once again work with Pep, following their golden era at Barcelona. Chilly and Chile – Manuel might be swapping the bitter cold of Stoke’s Britannia Stadium for a return to his homeland next summer. Rumours abound that City’s MP could well stay within the £2billion City Group, with a possible expansion into South America – even Chile – making Pellegrini’s presence all the more relevant for both parties. That’s for the summer. It’s the here and now in the depths of winter that Pellegrini and City have to earn their corn and cut out the lack lustre league performances. The Late Show – Yaya scored a time busting winner against Swansea at the Etihad. 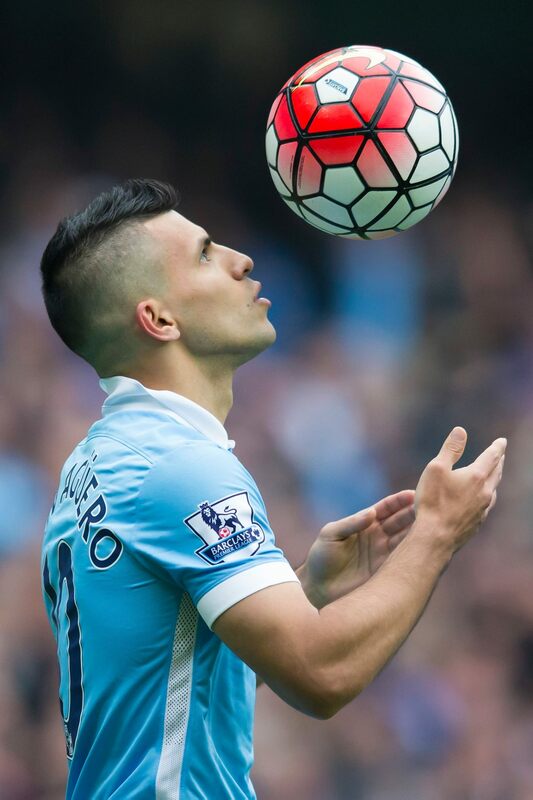 Why do City irritate by only ‘playing’ sporadically and not the full 90 minutes plus? It’s all well and good having a terrace chant of ‘We Fight Till the End’, but what of the start and middle periods? How many of us would keep our jobs if we breezed into work, impressed the boss up until 10am, slacked off for five or six hours and then put in a storming last half-an-hour before clocking off? 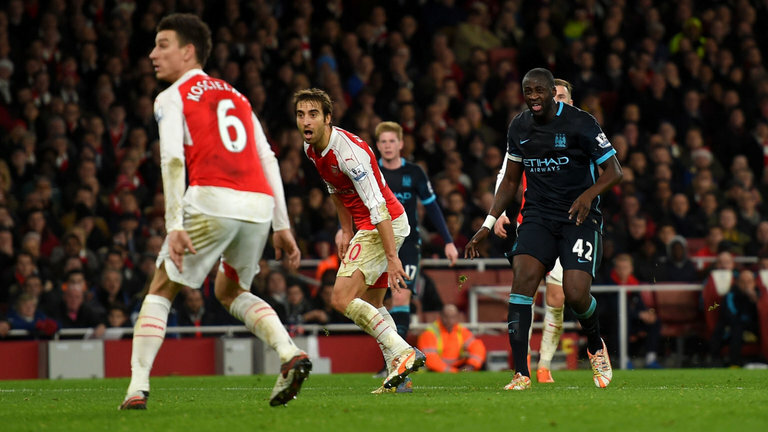 Too little too late – Yaya’s 84th minute goal at Arsenal wasn’t enough to salvage a point. Admittedly, it’s an exaggeration of the point, but City fans who regularly attend matches will get the gist of the argument. Doubtless City’s multi-millionaire players will have extravagant watches from the likes of Hublot, Breitling and Rolex and none where Mickey Mouse’s tennis racket is used as the hour hand, so why play like a Mickey Mouse outfit? 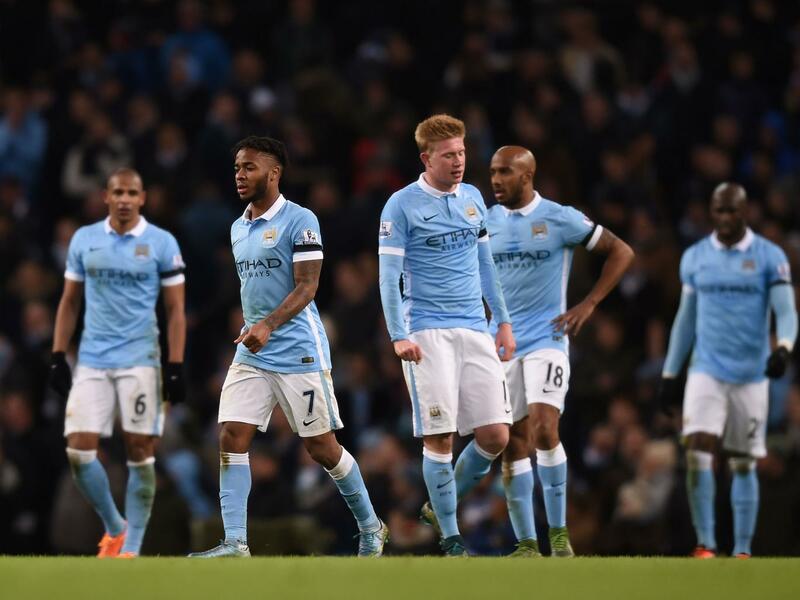 Looks familiar – City troop back to the centre circle after conceding yet another goal. The Premier League is ripe for the taking for the third time in five seasons, so it’s high time City stopped playing in fits and starts and put in some proper shifts. We’ve already done the Oscar Pistorius analogy, but he didn’t shell out £72m in fees to assemble a defence team that wouldn’t pass muster, if scrutinised by the Trading Standards Office. Pep tide – A wave of informed opinion says Guardiola is coming City’s way next summer. If, as expected, Guardiola is coming to the Etihad, one can only surmise he’ll want the lion’s share of the £265m Chinese investment in the City Group to reshape the team – starting with the centre backs. Captain Fantastic Kompany is one of the best central defenders in the world when he makes it onto the pitch, but it’s an all too rare occurrence nowadays. Fingers crossed he’s back today after a persistent calf injury. 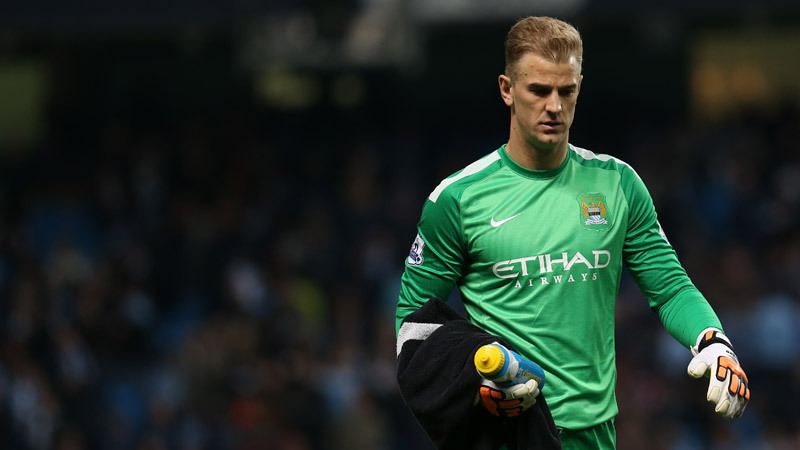 Good Kompany – City’s defence has been like a Swiss cheese in Vincent’s absence. 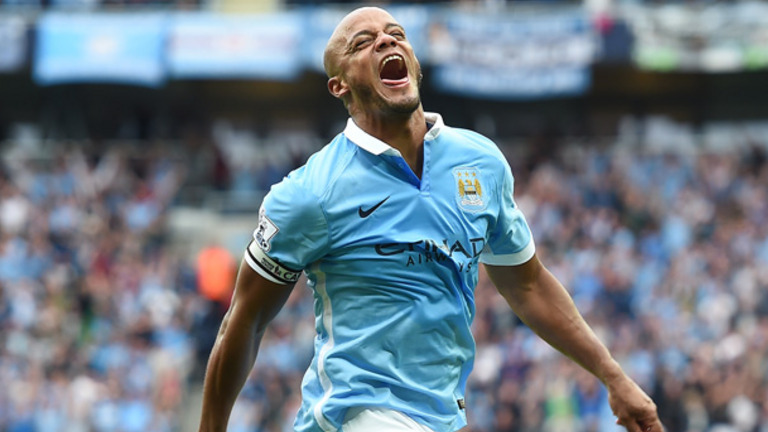 City have been unbeaten in the eight PL games where Kompany has started, conceding just once. They’ve lost five of nine without him and let in 18 goals. It’s an obscene fact and one that shames the rest of City’s so called ‘defence’. Nicolas Otamendi is adapting to the English Premier League but is sometimes prone to impetuous challenges. He complained about the wind at Stoke in City’s abject defeat. Did it ruffle his exotic haircut? 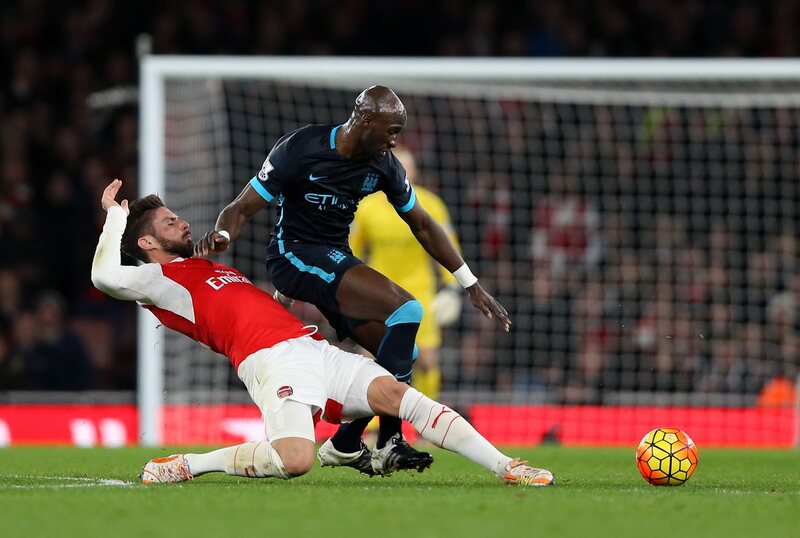 Eliaquim Mangala was supposed to be the world’s next great centre back, but in which world? Gone to ground – Nicolas Otamendi is still adapting to the demands of the Premier League. The Frenchman, purchased for a whopping £42m from the Portuguese Primeira Liga, is just about out of time with City supporters after a season and a half of inconsistent and sometimes calamitous showings. Martin Demichelis, quite rightly a cult figure with the fans after a rocky start to his City career in 2013, seems to have gone on for one season too long in the fast paced and highly demanding Premier League. Demi has been great, but no more. Time out? – Eliaquim Mangala could be on his way out of City unless there’s a dramatic improvement in his play. 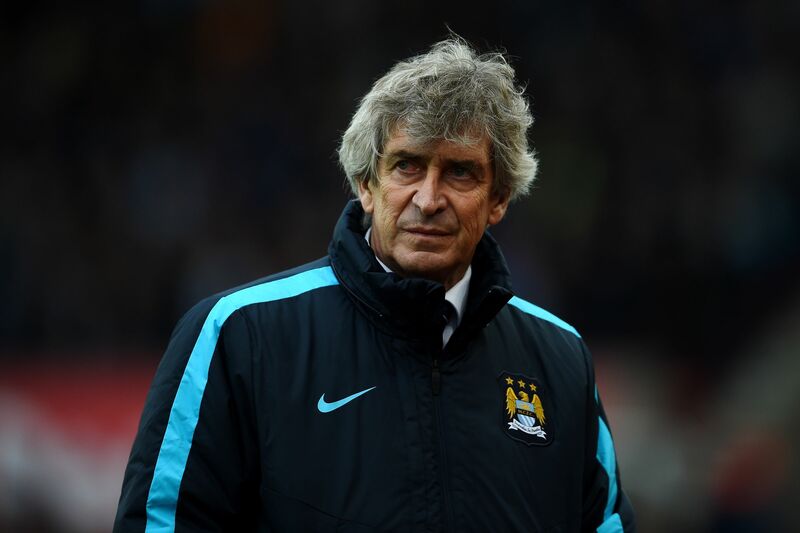 What should – on paper at least– be one of City’s greatest strengths, is a primary weakness. It’s born out by just two clean sheets in all competitions – both 0-0 stalemates – since starting the season in Scrooge-like form, with five Premier League shutouts. It doesn’t take the Ghost of Christmas Future to know it’s a damn sight harder to win titles by having to score two, three or four goals every game to take maximum points. 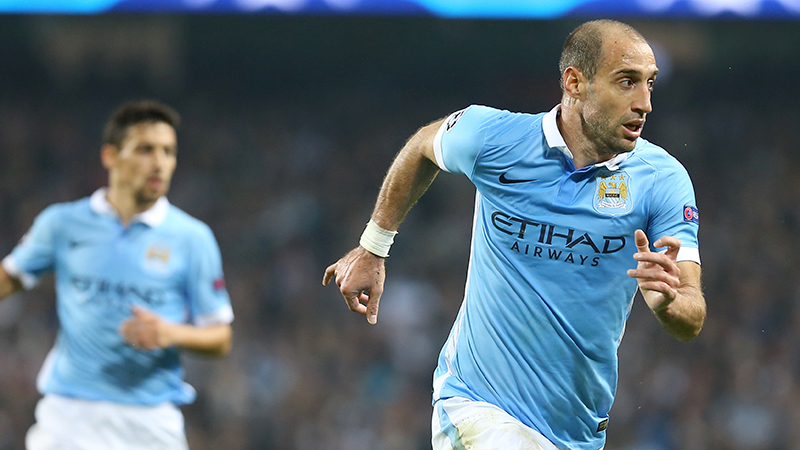 Pablo Zabaleta’s prolonged absence has hurt the team, despite some ‘solid’ games from stand-in Bacary Sagna. He looks ready to return after knee ligament damage. When on form, Zaba is still one the best right backs in the world. Over on the left flank, just about every City fan knew a top class left back should have been a priority last summer – but no. Alex Sandro was allowed to elude the net moving from Porto to Juventus, and then impressing the hell out of everybody when Juve came up against City in the Champions League. The bitter irony being that City have handed over £54m to Porto in recent seasons for ‘marque’ signings Mangala and Fernando, the latter being nicknamed the ‘Octopus’ for his ability to ‘reach in’ and tackle the ball away from opponents. He should be called the ‘Crab’. He moves sideways and, if you make crab plural, he’s a Brazilian who irritates the hell out of you! The January transfer window beckons, but will City wait for next summer’s changing of the guard or, take direction from Pep on who he wants in his future squad? 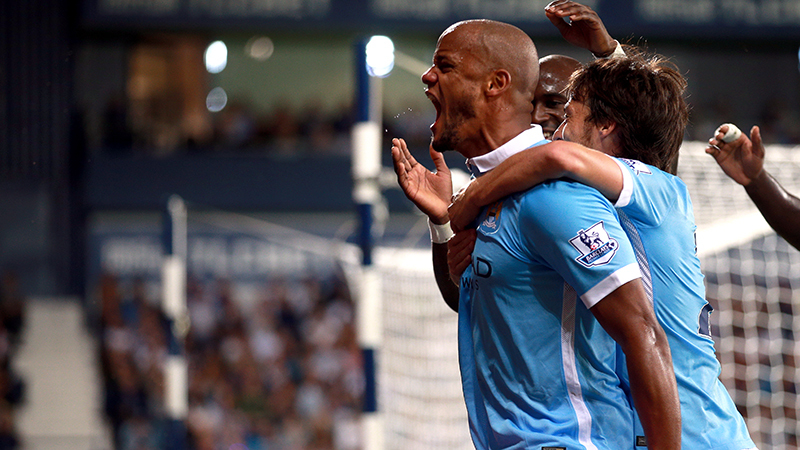 Kompany and Zaba appear to be on the cusp of a return so a lot will depend on their fitness and form. Maybe they can stem the flow of goals conceded, while a fit and raring to go Sergio Aguero can start balancing the scales at the opposite end of the field. Injuries have blighted the season thus far, with City’s spine often broken by the prolonged absences of Kompany, Silva and Aguero. If the trio can stay injury free the title is still there for the taking in a hugely unpredictable season. It continues with an encounter against Sunderland, a team that has all too often, sprung a nasty surprise on City’s slickers. Despite City being unbeaten at home in the top flight for 13 games, spanning 34 years, against the Mackems, the Wearsiders have still shocked the Etihad faithful. A dramatic 3-3 draw in 2012, and an equally uncomfortable 2-2 outcome in 2014, looked to have derailed City’s title ambitions, before the Sky Blues went on to win their recent Premier League honours. A Boxing Day draw against Fat Sam’s side would be seen as equally costly, with City potentially falling eight points behind leaders Leicester and six adrift of Arsenal. It must not happen. 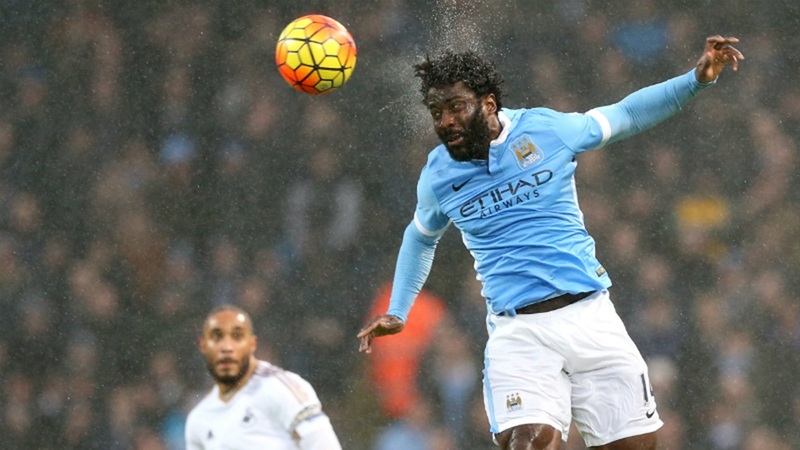 Howay Bony Lad – will Wilfried figure against Sunderland on Boxing Day? With Samir Nasri the only player still out injured any valid excuses – if any ever truly existed – have disappeared as quickly as the Christmas sherry. 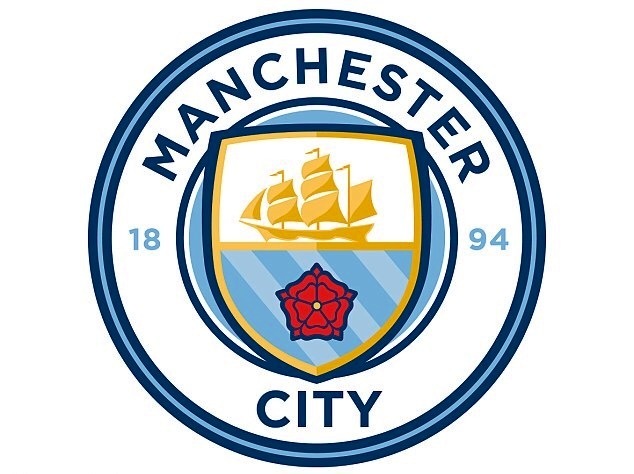 On the crest of a wave – If this is indeed City’s new badge it will leave many supporters disappointed. On the day when the club’s new badge is due to be revealed, the fans won’t want to be crestfallen with the team’s showing, as they appear to be with the allegedly leaked emblem. City have to stand firm, no swaying or staggering and certainly no bottling it. This article is dedicated to two True Blues – Andy Harper and Angie Hillwood – who lost dearly loved canine companions Jerry & Max in recent days and weeks. Also to a very special family – The Glennons – particularly Paul & Aileen who, in the face of adversity, show the world what true love looks like, day in and day out. And finally…Compliments of the Season to all Read But Never Red readers and very best wishes for a Happy Blue Year in 2016. Good read david...If kompany goes straight into the team like aguero,how long will it be before he's match fit..thats the worry because aguero looks half fit at the moment .Having said that,a half fit kompany is a better option than a fit,floundering mistake that is mangala..he reminds me of david someill..looks athletic and the part but is anything but.We can't afford any more slip ups now and we need to beat sunderland and leicester if we want to win this league. I take no pleasure from slating Mangala but enough's enough - £42m - jeez what was Txiki on at the time? Major reshaping of the defence needed in summer as some of our heroes of recent years run out of steam. Thanks for reading and commenting. Yes ,cheers david and a good win yesterday..more of the same against leicester please. This game today is a "must win" if City have any ambition to win the league. The Arsenal game was far better than the Stoke shambles and the not impressive win against the Swans. Sloopy ball from Mangala at end of 1st half, wrong options by Navas and KdB in the second half but more than a few attempts on goal. Arsenal I think had 2 shots on goal and scored twice. To quote the guy next to me "for gawds sake just f----- hit it" ! That fella next to you wasn't far wrong - our little Spanish winger should ignore his namesake's attachment to crosses and, and I quote, '...f----- hit it'.Thanks for comments RC, there's time enough to get this title bid back on track but 3 or 4 more losses and we're out of it. Does it deserve an Oscar? All the best and I'll sort Zaba out for you. Good read everything crossed that we get our super team back today and batter Sunderland emphatically. I love Manuel think he handles himself with great dignity he knew the score when he took the job and apart from one or two blips has served the long term plan well. Hope the SA connection materialises for him. Bit late I know soz. Couldn't get to game today but by all accounts was a cracker Really felt for poor Vinny just hope he's back fit soon. It's a strange season Dave with anyone beating anyone. Just hope we click in to top gear soon. Still not convinced by MP. Hope Mollie is getting better Dave. Festive greetings Doug. Thanks for best wishes for Mollie Zaba, we missed the game as well because we were caring for our gorgeous little girl. On a personal level it's been one of the worst Christmas' ever, mainly due to Mollie's health. We're just hoping we can sort out the cause of her difficulties...and fast. As for City, yes, a comprehensive win but the Kompany calf conundrum continues. 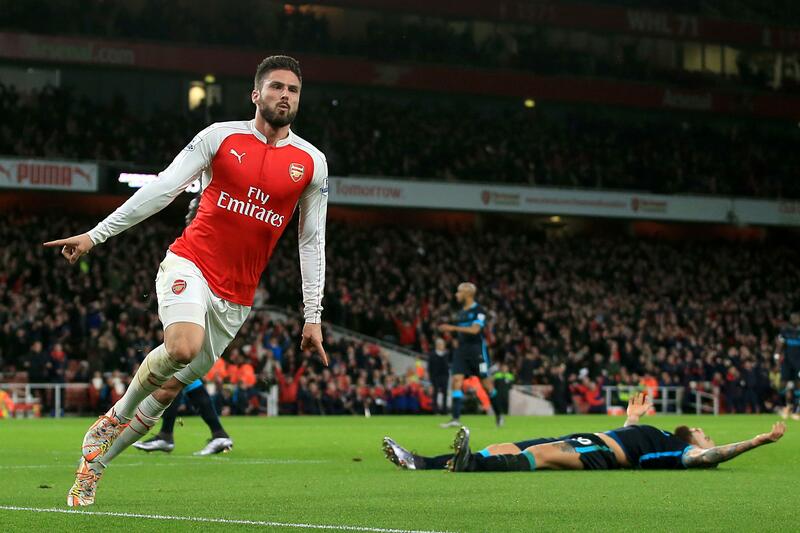 Poor Vinny, it mustbe so frustrating for him and his absence could cost us the title. At least the Saints went marching in over the Arse. Now we need a successful fox hunt on Tuesday, albeit I am usually against blood sports. Ah me oul flower Young davvveedd, top notch as always Mr w, your totally right of course about "the 90 minute shift" not been put in, a nice win today against a po*y "team" get well soon Mr Vincent' try swimming maybe??? I'm very impressed by your" knowledge of watches" I don't wear one myself I usually go by the sun!!!!! Kdb was excellent again today & bony is starting to look a player (except for penos) there is nobody in the world who has given the 42 more stick over the past couple of years than me (cakegate....f**k me are you serious???) That said I feel that the negativity & downright nastiness towards the big man was disgraceful.... Jamie c??? Ar#$%h+l#, doing the usual sky thing & "playing to the galleries" hello redknapp.. Mr yaya to give him his due has been magnificent for City over the last month, his goal & the way he drove the team against the guns was just fantastic, my God.... What a goal!!! What does Jamie c know about running??? He couldn't run to save his life...good player that he was!! Mr ya has been one of the greatest if not the best midfielders in england over the past ten years, even I have to concede that, so stop the hate & give the ya a bit of respect already, happy "St Stephens day" all, I have a sweet bottle of cognac waiting for me yum yum!!! Compliments of the Season Mr Kavanagh. If your time-keeping is governed solely by the sun and you're living in either the UK or Ireland, one can only guess that you're either late or early on most occasions - sun, what bloomin' sun ;-) ? Thanks for your comprehensive and amusing feedback. Given that eight hours have elapsed since you posted your comments, and the then pending demolition of your bottle of cognac, I hope you're in a fit state to read this before New Year's Eve! Cheers GK.